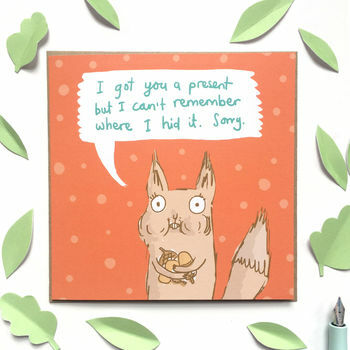 Delightfully quirky cards and gifts. Sarah Ray's fun and whimsical illustrations offer something uniquely different. 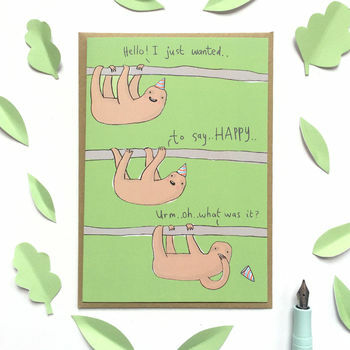 She produces a range of greetings cards, prints and gifts that show an unusual take on life and its idiosyncrasies, to make anyone smile! 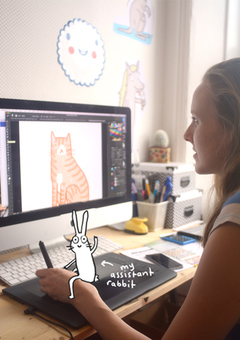 Sarah works from her studio in Bristol where she enjoys drawing for a number of clients on various illustration commissions. She started her card business after selling screen printed cards at markets and found that people really engaged with her drawings. Enthused and encouraged she developed her range and now has over 90 designs! Growing up in the Herefordshire countryside on a small holding allowed her the freedom and space to develop a sense of humour which combines animal and human behavior. 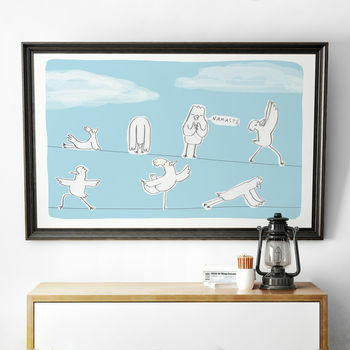 She pours her personality into her drawings, embracing the quirkiness of life, to create work that is unique and fun! Everything she sources is from the UK and a big effort is taken to ensure that her products are environmentally friendly. Sarah has won best new product in the Stationery & Greetings category in the Top Drawer London Awards. Her cards were commended on their originality, quality and appearance. She was also a finalist for her greeting cards at The Henries Awards for her range of Valentine designs which showed humour and originality. 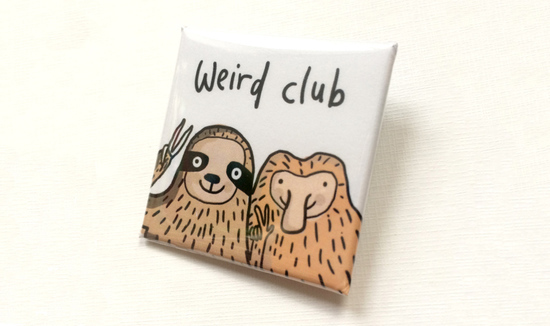 Also find quirky prints, badges and tattoos! "Absolutely brilliant service, lovely personal touch and love the idea of supporting a small business rather than buying a card from a large establishment. Card arrived within 2 days of ordering. Very professionally made and love the idea, feels very personal. Thank you Sarah!" 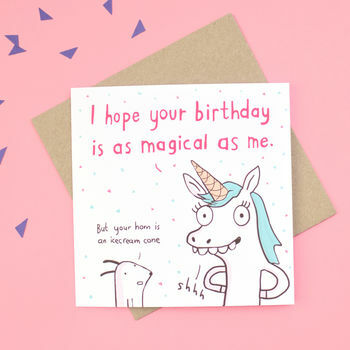 "Hilarious card for my sister. Exactly as required. Lovely card stock"
"Gorgeous print- so lovely that when it arrived I realised I wanted it in the bigger size. Seller was lovely too- friendly, flexible and very quick to respond and send it out, even in the busy week before Christmas it arrived the very next day." "Very prompt delivery, and lovely finishing touches to the package. Made me smile!"